This is a jumping game of gigantic proportions! Fire the mad inventor, Justin the beaver, off on a crazy jumping journey. Collect coins and special inventions along the way to help him reach even higher! Your aim is to help Justin jump as high as possible. 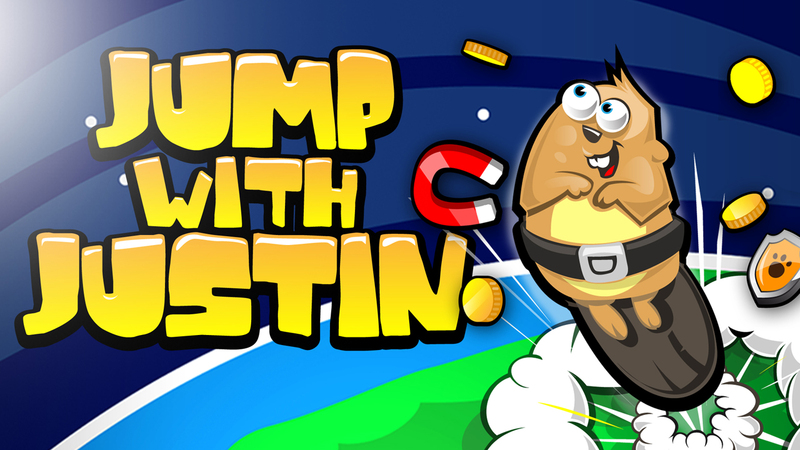 Collect coins and special inventions during the jump to help him go even higher and reach the next level. You can also buy inventions from the shop, such as magnetism, rockets and helium to help Justin reach new heights but make sure he avoids the obstacles and evil inventions, as they will make him fall!